The architecture is often an invaluable source about the lifestyle and the evolution of cities, as well as a “library” regarding the history of the values, the culture and the development of every nation. In other words, it is the means to understand how common things work and at the same time to create our personal shelter. Since architecture is a form of art that serves man, it should be implemented and applied for his interest. In the times of crisis we are going through, architecture lands and changes from a means to implement desire, pleasure and lifestyle into a means of management as far as common problems, goods, ideas and values are concerned. As part of a new vision regarding the role of architecture within the standards of the past decade’s prosperity, we have to lay emphasis on the idea of community, of public space, surpassing the importance of the individual, to highlight and protect the common ground. 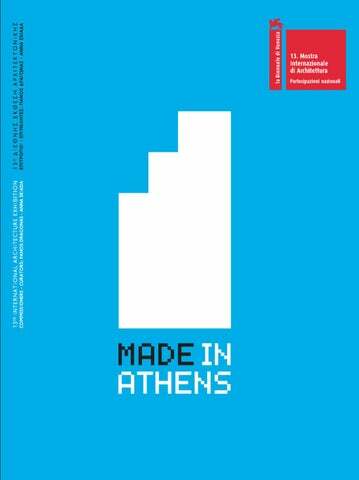 The Greek participation in this year's Biennale presents and composes the "mosaic" of the Athenian urban landscape, in the period of the economic crisis, through two themes, the private sector and public space. The first shows the development of the typology of the building with twenty-five structures by both known and unknown creators. The second highlights the positive aspect of the crisis and its impact on the public space through initiatives - interventions of creative teams of the city and the architects’ design proposals. The expo participation aims to highlight the positive forces that are formed within the critical present while also outlining a better future for the city and its architecture. The goal of YPEKA (Ministry of Environment, Energy & Climate Change) is not only the participation in this discussion of the 13th Biennale of Architecture, and the distinct Greek presence, but above all, the emergence of modern Greek architectural work, and membership in international affairs. 1. Manfredo Tafuri, Toward a Critique of Architectural Ideology , που εκδόθηκε στον τόµο Architecture theory since 1968. Edited by K. Michael Hays, MIT Press, 1998. 2. Keller Easterling,“Zone: The Spatial Softwares of Extrastatecraft”. http://places.designobserver.com/feature/zone-thespatialsoftwares-of-extrastatecraft/34528/ [επίσκεψη στην ιστοσελίδα τον Ιούνιο 2011]. 3. Andrea Branzi, “No-Stop City, Residential Parking, Climatic Universal System” Domus 496 [Μάρτιος 1971]. 1. Manfredo Tafuri, Toward a Critique of Architectural Ideology . Published on Architecture theory since 1968. Edited by K. Michael Hays, MIT Press, 1998. 2. Keller Easterling,“Zone: The Spatial Softwares of Extrastatecraft”. 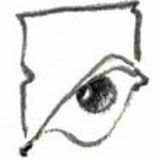 http://places.designobserver.com/feature/zone-thespatialsoftwares-of-extrastatecraft/34528/ [visited in June 2012]. 3. Andrea Branzi, “No-Stop City, Residential Parking, Climatic Universal System” Domus 496 [March 1971]. Ανδρέας Αγγελιδάκης, Domesticated Mountain, 2012. Andreas Angelidakis, Domesticated Mountain, 2012. 4. Massimo Scolari et al., The New Architecture and the Avant-Garde. Από τη ∆ιεθνή συνάντηση περί αρχιτεκτονικής Architettura razionale, XV Triennale, [Μιλάνο: Franco Angeli, 1973]. 5. Francis Fukuyama, “The End of History and the Last Man”. Simon and Schuster, 1992. 6. Chantal Mouffe, “Le politique et ses enjeux. Pour une démocratie plurielle.” Paris, La Découverte/MAUSS, 1994. 7. Ελληνικές Κοινοβουλευτικές Εκλογές 2012 http://www.guardian.co.uk/world/greek-election-blog-2012/2012/jun/17/greekelectionsnot-end-hardship [επίσκεψη στην ιστοσελίδα τη 17η Ιουνίου 2012]. Αριστείδης Αντονάς, Urban Hall, 2011. Aristidi Antonas, Urban Hall, 2011. 4. Massimo Scolari et al., The New Architecture and the Avant-Garde. From Architettura razionale, XV Triennale, international session of architecture [Milan: Franco Angeli, 1973]. 5. Francis Fukuyama, ʻThe End of History and the Last Manʼ. Simon and Schuster, 1992. 6. Chantal Mouffe, “Le politique et ses enjeux. Pour une démocratie plurielle.” Paris, La Découverte/MAUSS, 1994. 7. Greek Legislative Elections 2012 http://www.guardian.co.uk/world/greek-election-blog-2012/2012/jun/17/greekelections-not-endhardship [visited on June 17th, 2012]. Η Ethel Baraona Pohl είναι αρχιτέκτων, συγγραφέας και blogger. Έχει δηµοσιεύσει άρθρα της σε έντυπα όπως τα Domus, Quaderns, The New City Reader (έκδοση Κωνσταντινούπολης) και MAS Context. Είναι συν-ιδρύτρια του ανεξάρτητου εκδοτικού οίκου dpr-barcelona. Ethel Baraona Pohl is an architect, writer and blogger. She has written articles for Domus, Quaderns, The New City Reader [Istanbul edition] and MAS Context among others. Co-founder of the independent publishing house dpr-barcelona.